JNN 27 May 2014 Sanaa : People in Yemen’s northern city of Amran have retaken the control of an strategic area following fierce clashes with Armed Takfiri Terrorists. The Shia Residents of Amran seized the strategic mountain of al-Jannat after pushing the Terrorists out of the region. Meanwhile, clashes continue between Shia Houthi fighters and Takfiri militants as well as the armored 310 Brigade in Amran, despite a government call for ceasefire. 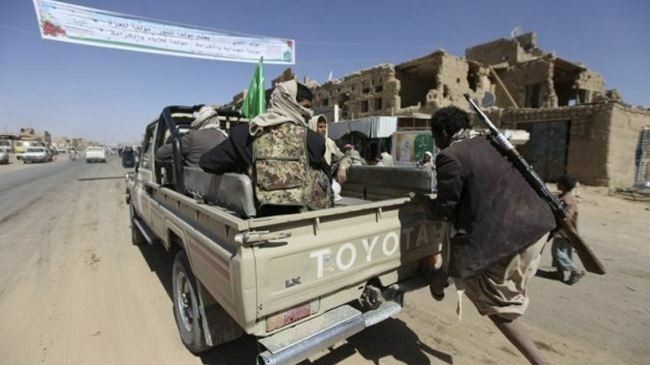 Last week, more than two dozen people, including 14 Houthi fighters, were killed in similar clashes in Amran’s suburbs. This entry was posted in Middle East and tagged Ali Abdullah Saleh, Amran, central government, fierce clashes with Armed Takfiri, shia community, Shia Houthi Fighters, Takfiri Terrorists, Yemen. Bookmark the permalink.